Fans of talk radio know how engrossing and fascinating your favourite shows can be. But for all the wonder of live radio, you do miss a lot, and it has not been easy to catch up on interviews and moments you missed. That has been changing over the last few years with radio broadcasters and many others being able to do for live radio what music streaming did for your favourite songs. The Money Show has been a podcast for the last decade and has built a following to make it the most popular radio podcast in South Africa. Subscribers get the full show each day ready to play when they want. If you prefer, it can even be downloaded to allow you to listen when you don’t have internet access or when it is cheaper to download on Wifi. It all started with Thomas Edison who recorded himself reciting Mary Had A Little Lamb in 1877. It allowed music to be played after the performance and in the 1930s for books to be made available to the blind. Audiobooks, as we know them today, were first albums, then cassettes, then CDs, but once the internet and the world wide web came along they could be shared as audio files. Amazon’s company Audible hosts most of the titles released in print as audiobooks available when you want via an app. The podcast was coined once the iPod allowed audio files to be saved to the device. Apple created the option to collect spoken audio tracks as podcasts via iTunes as a separate option in 2005. The initial adoption was slow, mainly because internet speeds were slow and data costs were high; good reasons to stick to the live broadcasts which cost nothing. Over time, as speeds increased and prices fell, more shows became available and more people began to listen. The US remains the primary market with the breakthrough podcast being a crime series called Serial that first released in 2014 which triggered a surge in interest in listening and creating new podcasts. Estimates now are that there are over half a million podcasts available with over 18 million episodes. You can listen on any phone or computer via the web or app. It is likely you will find almost any subject covered although crime, politics, comedy and current affairs are the most popular. Serial The original blockbuster tipping-point production that had over 80 million downloads of its first season. Host Sarah Koenig investigates a murder conviction that does not quite add up. Sandra A comedy-drama about the humans that supply the answer for voice assistants that sometimes include answers to questions that were not asked. The first season is being turned into a Netflix series. The Teacher’s Pet An Australian podcast that tracked a murder cold-case from the ’80s. Australian police resumed investigations in 2015 after prosecutors chose not to pursue a charge of murder against Lyn Dawson’s husband, Chris. As a result of the interest in the case and the coverage by the podcast, police made an arrest following new evidence and charged the now 70-year-old suspect. Trail Blazers Walter Isaacson hosts a fascinating and wide-ranging look at technologies that created our digital world. This podcast showcases the opportunity for brands to partner on a series for mutual benefit as Dell Computers positions themselves as trailblazers in their field. The Daily I make a point of listening to it almost every day as the New York Times focuses on a major issue as covered by the Time’s journalists. In a strange twist, the newspaper product became a radio product with syndication to hundreds of public stations across the US. Reply All A novel take on our digital lives that are both able to satisfy those who know a thing or two about technology and those who are bewildered by it. A recent episode focussed on the pitfalls of local governments seeking to attract big corporate investment that often costs more than it returns. Radiolab An excellent example of just how powerful audio storytelling can be. Subjects cover almost anything, and it is the perfect companion for the persistently curious. A recent episode looked at the most controversial moments in broadcast history. Primedia’s four radio stations and EWN make much of the radio content available both as on-demand audio or as podcasts. For the best in local issues, you need never miss a thing again. 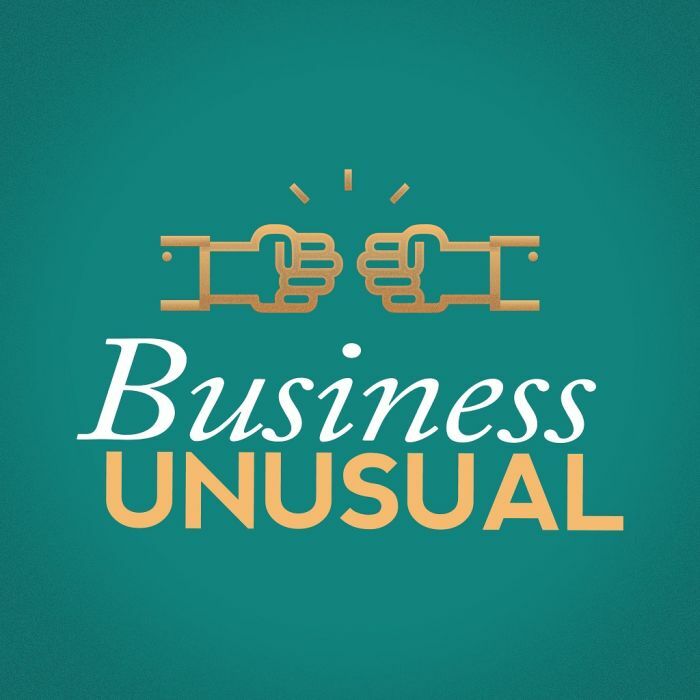 This Business Unusual feature is also available as a podcast. The options for expanding on personal entertainment is one major component, but the rise of smart speakers and us using voice for search has seen a shift to make the text available as audio too. A growing number of premium long-form print publications now make their articles available as audio. Companies are beginning to see the potential for creating training and briefing materials as audio to increase the consumption and use of what used to only be available as documents. Aspiring broadcasters hoping to get noticed for a job in radio are honing and creating their own options. Gareth Cliff remains one of the original proponents and is helping to create a new business model for streamed audio. Tourism has had audio guides for years, but access now via smartphone is making it easier for you to have a personal guide explain the places you visit. It is still just the beginning, but speech remains humanity’s primary form of communication, and these improved means of access will see it remain so for many years to come.